We stayed at the Port Orleans Riverside resort on our trip in Feb 2018. The Royal Room was delightful with the fireworks in the headboard and letter from Tiana on the table. The grounds are so beautiful and peaceful. CREDIT: Natalie’s Place Designs – Down the Bayou Kit, Down the Bayou Page Starters, Down the Bayou Paper Stacks, Down the Bayou Borders, Down the Bayou Word Art, Down the Bayou Bundle. 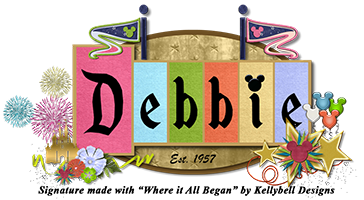 You can get my Port Orleans Freebie Word Art on My Blog. CREDIT: Kellybell Designs – Down in New Orleans Kit, Down in New Orleans Journal Cards, Down in New Orleans Page Starters, Down in New Orleans Word Art, Down in New Orleans Word Flairs. Template is Pocket Style Vol 2 (Retired). Our animal towel that was in our room at Port Orleans is now displayed in my bathroom.